Going to the hospital is scary. Whether you’re visiting the hospital in your home country, or abroad, the experience is always a bit nerve-wracking because you don’t know what the diagnosis is going to be. Not to mention, you’re surrounded by people hooked up to IV’s and being rolled through the hallways on gurneys. We’ve had to visit the hospital, clinics and doctors a few times since we started travelling in 2008, and thankfully each time has been a positive experience. Most recently, I was having some serious back pain while we were living in Buenos Aires in our AirBnB apartment. While wandering down the street to get some ice cream one night, I received a sharp, shooting pain at the base of my back, right in my lumbar. It was so painful that I could barely walk. Something was wrong and it needed to be dealt with asap. I started researching online about which hospital to go to. 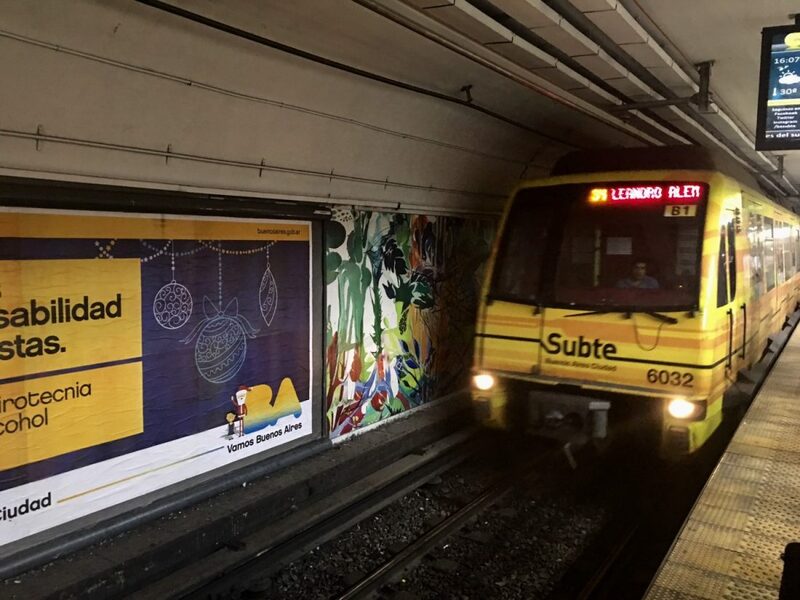 It turns out that Buenos Aires actually has many options when it comes to healthcare. There’s the Swiss, German, British and Italian hospitals! After reading some forums and reviews, I decided on the German one. The British hospital didn’t speak English – go figure. The Italian one had some mixed reviews about a couple of dodgy sounding procedures, but the Swiss one sounded fine. I figured that because the German hospital cost the most to visit, and because Germans are generally thorough and clean people (sorry for the positive stereotype), it was a good option. In reality, there were no Germans there and to be honest, I’m not sure why it’s called the “German Hospital”. Maybe it’s funded by them? What solidified my choice was when I called the hospital about appointments and the receptionist spoke English. I tried to make an appointment with him, but was told I would have to wait a month. The only option was to go to the emergency room. So, Nick and I made our way to the hospital and prepared ourselves for the long wait time. I assumed that I would be surrounded by people with far worse problems than me – it was the emergency room after all. But, the interesting thing about visiting the hospital in Buenos Aires, is that you don’t just see a general practitioner, even in the ER. You are directed to a specialist in the field of whatever your health issue is. There was a whole orthopedic section, trauma, neurological, etc., each with their own waiting room and receptionist. I was directed to ortho where I checked in by handing over my passport and saying my back was sore. The receptionist there didn’t speak English, but a doctor came to translate for us. After about an hour, it was my turn. The little number on the TV changed to 225, and in we went. I couldn’t believe that it only took an hour to see a doctor, and a specialist at that. The room was small, but had a bed and some medical equipment. The doctor smiled and we smiled back. Then we sort of stood there waiting for him to say something. Rather than staring at each other the whole time, I proceeded to say my back was very sore and that I have shooting pains. His spoken English wasn’t great, but he could completely understand everything that I said in English. He just struggled to respond in English. So, he opened up Google Translate on his computer and between that and my basic Spanish abilities, I was able to understand what he was saying. “Do you sit a lot?”…yes. “Do you wear a backpack?”…yes. I sit for work, on buses, on planes and when hanging out. Quite often come to think of it. 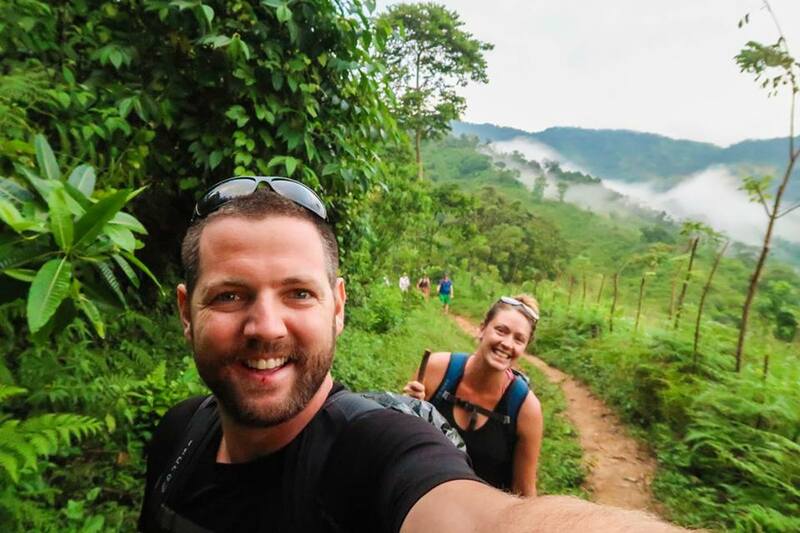 Plus, I wear my backpack when travelling around, and most recently for a long period of time during the trek we did to the Lost City in Colombia. Trekking to the Lost City was amazing, but maybe wearing my backpack for so long was part of the “last straw” for my back. That coupled with a 24 hour travel day from Cartagena, Colombia to Buenos Aires, I’m pretty sure that was what did it! He poked around a bit and asked some more questions, but the diagnosis was a swollen lumbar and he said that the chances of me having a bulging disc or herniated disc were quite low. This was a relief because I was certain that’s what it was and did not want to have surgery. The doctor also said to come back in a week if it’s not feeling any better, as I would need an MRI. The doctor then asked if I have pain running along the sides of my thighs, which I did. It was painful to cross my legs, and also felt a bit numb. I had a big bruise on the side of my leg as well, from bumping it into something, which I didn’t remember doing. The answer to having numb thighs was a bit vague and lost in translation, but he basically said that this is normal for my back problem, and that I probably wouldn’t have even felt anything when I got the bruise. Apparently a lot of people these days come in experiencing the same issues I was having. Too much sitting at computers, not enough time standing or being active. I was given a prescription for some heavy-duty, anti-inflammatory steroid pills, plus a prescription to see a physiotherapist. The next task became finding someone for physiotherapy. The hospital gave me the phone number for a doctor, but when I called he didn’t speak English and as a novice Spanish speaker, the Spanish spoken in Argentina is incredibly difficult to understand. Feeling deflated and annoyed with all of this, I started researching to find a physiotherapist in the big city. Within a couple of minutes of hanging up the phone with Dr. Juan Manuel García, I received a text message from him. He used Google Translate and was able to tell me the price of the visit, where he was located, and the date that he could see me! Buenos Aires is a massive city with over 13 million people and many neighbourhoods. The office for physio was located about 45 minutes with a combination of subway and walking from our apartment. Nick came with me the first time to make sure I found the place, and I’m glad he did. It was a bit complicated, and also, it was just the male doctor in the office with no one else around! Dr. Garcia was really friendly and even though he didn’t speak English, everything was fine. I thought physio consisted mainly of strengthening and stretching, but I was hooked up to an electrical machine which sent pulses through my spine, lumbar and glutes. There was also some sort of magnetic machine. It was a very strange sensation and situation. 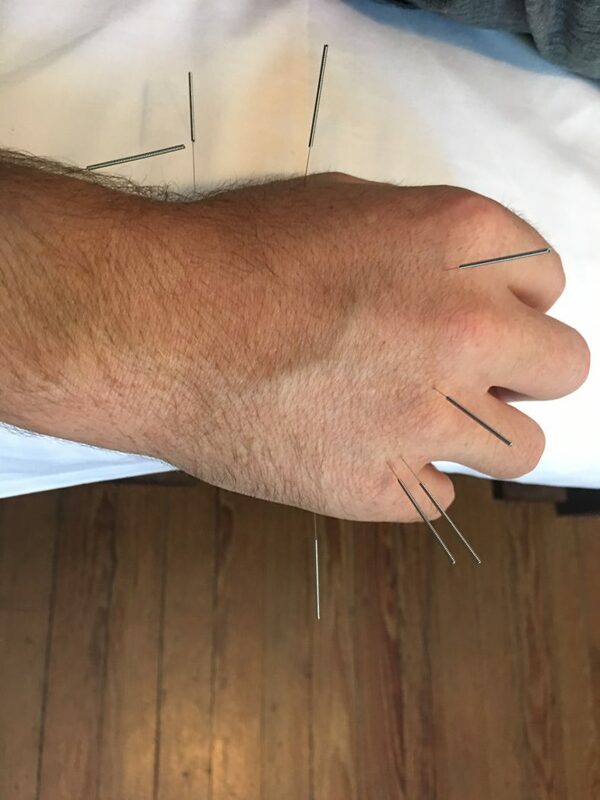 After my experience at the hospital and at physiotherapy, my family, fellow bloggers, and people on our Facebook Page suggested that I try acupuncture. Even though we lived in China for a year, I had never experienced being pricked repeatedly with a needle. But, I thought I would give it a try. Thankfully, the search for an acupuncturist was simple. 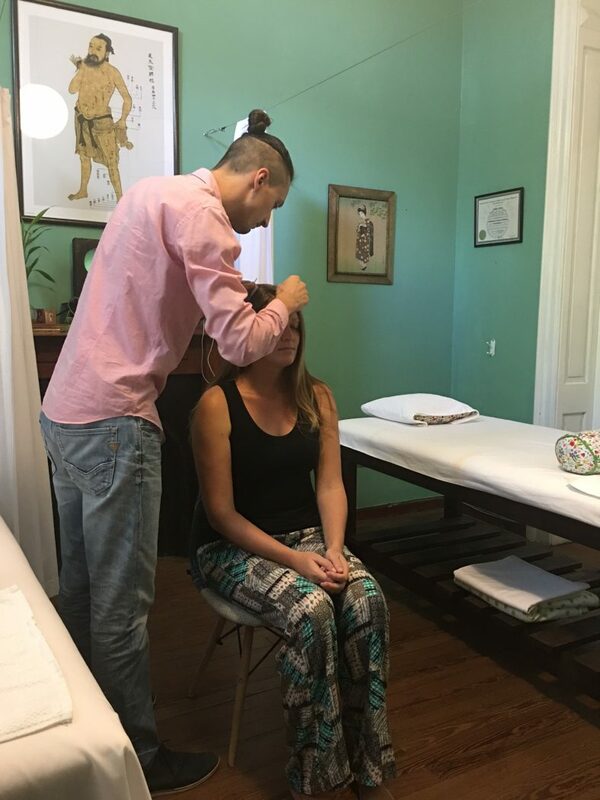 I found Acupuncture Buenos Aires online right away and the reviews were excellent. I then messaged them on Facebook and found out that the doctor (Dalí) was certified in Canada and that his wife was Canadian! It was really nice to have someone who spoke fluent English so I didn’t have to stumble through my embarrassing Spanish, something that I felt was important when being stabbed by needles. The office was set in their home, which was a gorgeous, historic building. I was given some lemon water and filled out some medical forms. Dalí did a consultation with me and a pulse diagnosis, and without even knowing my medical concerns (or reading the forms I had filled out), he said I have a “fatty” liver caused by eating way too many carbs. Plus, I have a chronic sinus problem and issues with my lower back area. This was all very true and I couldn’t believe that by reading my pulse he was able to know those health issues of mine. Into the bright patient room we went. I sat in a chair and Dalí stuck numerous needles into my scalp. It actually didn’t hurt too bad. I then laid down on the bed and received more needles in my arms and legs. Some calming music was put on and I was supposed to lay there for 45 minutes and relax. I lasted 30 minutes before starting to panic and feel like I was going to pass out! Me and needles have never been good friends. Not a word of a lie, I went home after the treatment and had so much energy. My back was at least 50% better than before the acupuncture! 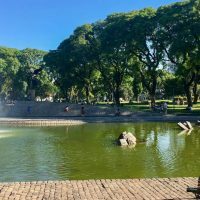 I purchased a 4 pack treatment and if I had more time in Buenos Aires, I would have gone back multiple times. Nick even gave it a try! Nick’s turn for some needle action! The cost of visiting the specialist doctor at the hospital was 1,028 pesos ($65). 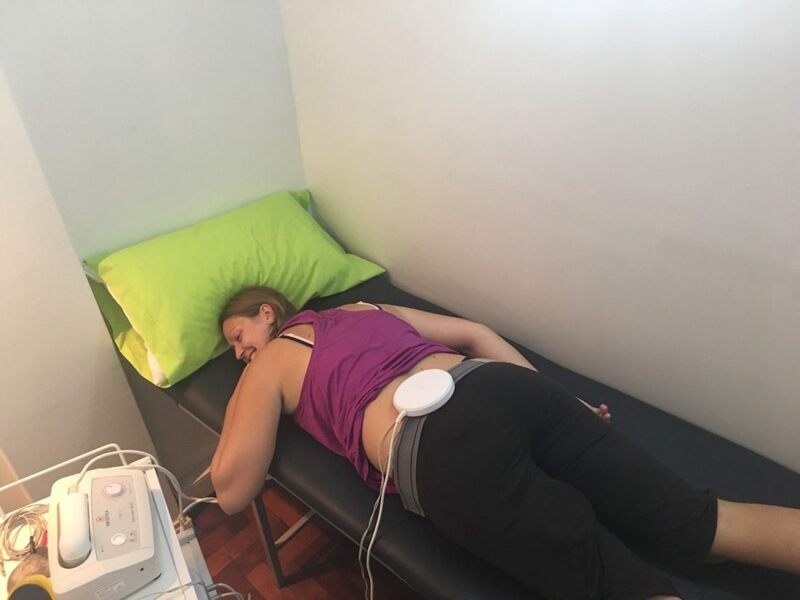 Each physiotherapy treatment was 400 pesos ($25) and the initial acupuncture consultation and treatment was $80 USD, with the 4 treatment package costing $180. These are the costs I paid without insurance. But I have travel insurance, so I will be submitting a form to (hopefully) get reimbursed for all of these treatments and appointments. The German Hospital, the physiotherapy office and Acupuncture Buenos Aires all had very hygienic facilities and I was pleased with the patient care I received from all three doctors. For two full weeks, my time (and some of Nick’s time) was filled with doctor appointments. 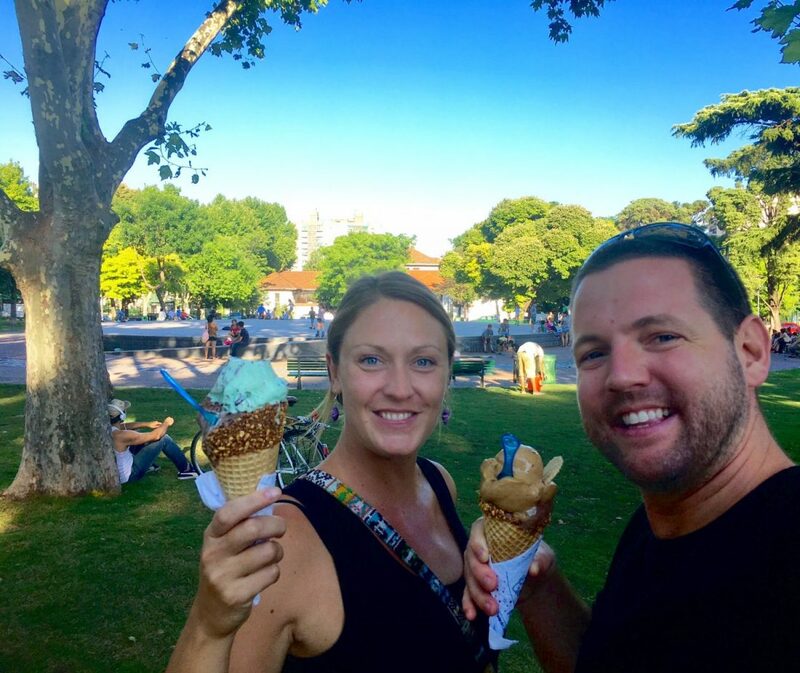 This isn’t exactly how we planned to spend our time in Buenos Aires, but I am grateful that we were in a city that offered excellent healthcare. Going forward, I need to work on my core muscles and start exercising more. We have some incredible treks and adventures planned in Chile and Argentina, so working on strengthening my back is a top priority. 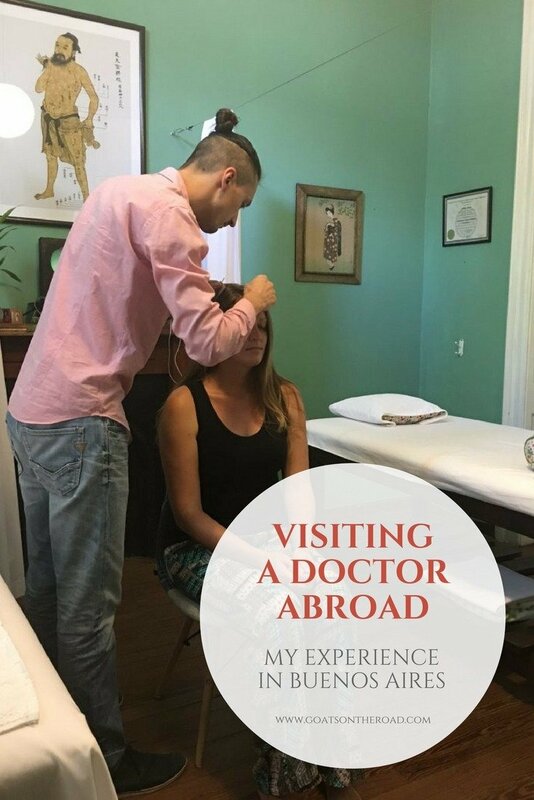 If you’re every having any health issues, don’t be afraid to visit the doctor abroad. Just because it’s not your home country doesn’t mean that the practitioners aren’t well qualified. And actually, many doctors have been trained in Western countries. We’ve received medical care in Malawi, China, Grenada, Mexico, Malta and now, Argentina and everything was fine. Do your research before choosing a doctor, but if you’re having any issues, it’s best to get them checked out…sooner rather than later. And make sure you have travel insurance! 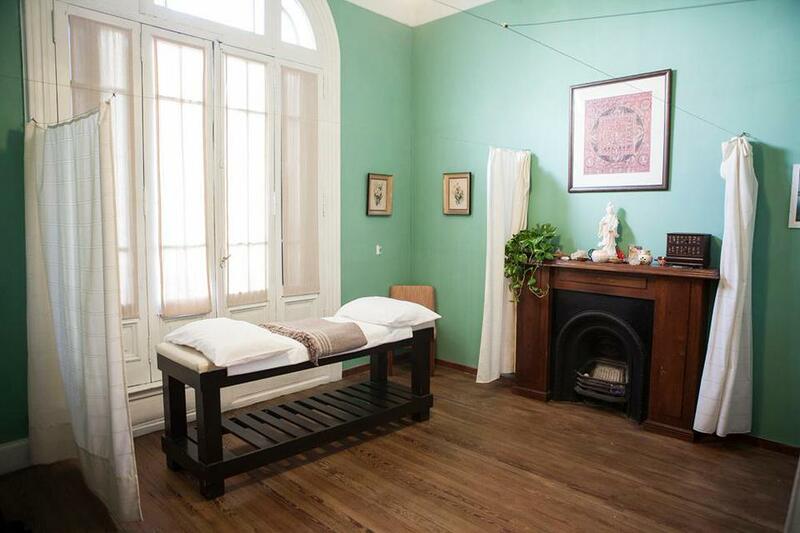 That treatment room looks gorgeous! And as for acupuncture – I haven’t tried it – but I’m intrigued by it!! 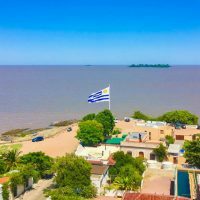 Hi, sorry you had to deal with that on your travels 🙁 I might need to make my own medical visit here in Buenos Aires and I’m wondering if you know about general clinics here? I feel like I don’t really need a hospital, but might need some medical help.